Classic Ibanez 9 Series pedal tone is back in a big way! ...well, sorta. The Analog Delay brings the familiar sound of the original Ibanez AD9 delay pedal to your rig in a shrunk-down, pedalboard-friendly profile. This little stompbox holds the same all-analog circuitry that called players to the iconic tones of Ibanez's 9 Series effects decades ago. You may find one of those old pedals here or there online or in pawn shops or someone's garage but the condition can be as questionable as your chances of even finding an original. 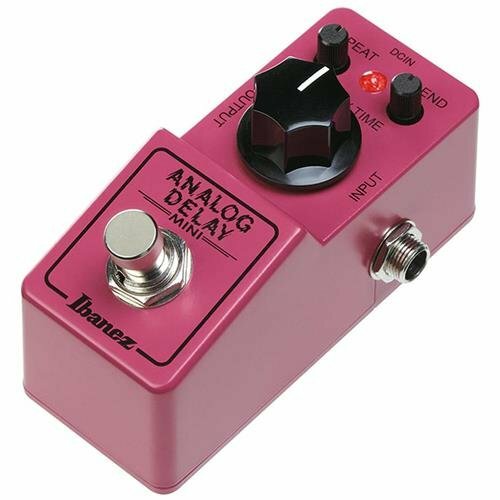 Put Ibanez's Analog Delay in your signal chain and get the vintage tone you haven't been able to tweak out of your modern pedals.